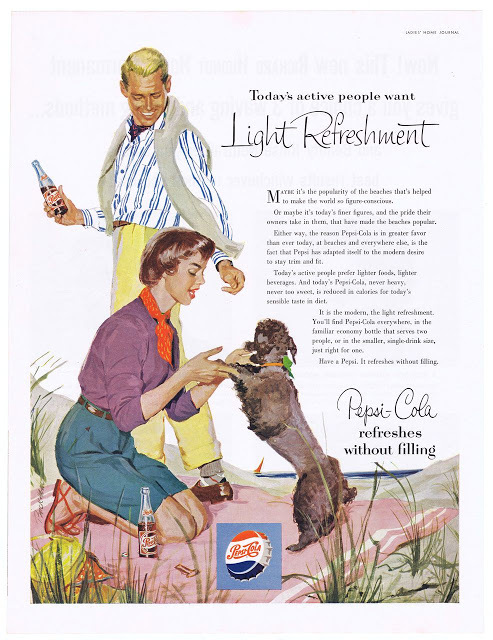 Pepsi equated active, modern, and stylish people with drinking Pepsi Cola, and of course, it helped to own a Poodle. 1954-If you went to the beach, had a Poodle and had style, you had to drink Pepsi. This is probably my favorite ad of the group and I was able to snag one on eBay. 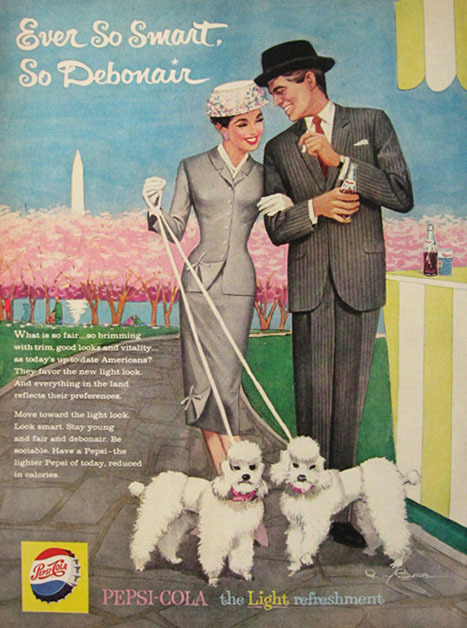 1959-If you dress to the nines, have Poodles, you must drink Pepsi. Coca-Cola had the more family approach with their ads. a stuffed one will have to do. This is an ad designed by William A Smith. In fact, I believe his daughter was the little girl. I could not find a date. However, she is probably in there to get her tonsils taken out. Back then, if you so much as sneezed, out came the tonsils. 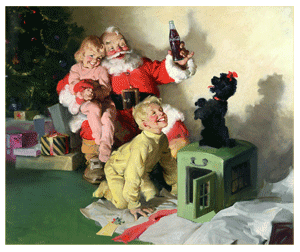 1964-Even Santa drank Coke and brought Poodles for Christmas. This is the original oil painting for the ad by Haddon Hubbard "Sunny" Sundblom. 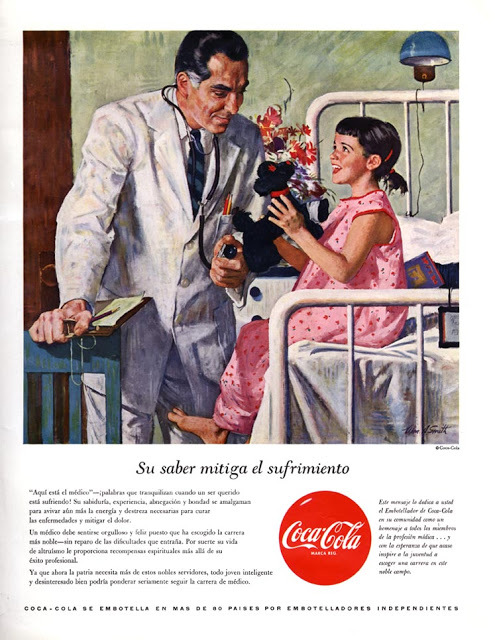 The painting's title is Things Go Better With Coke.